Do you have a go to scrap busting project? For me it’s doll clothes. Every month I participate in Karen Mom of Three’s doll clothes sew along. Each month she links to a different free doll clothes pattern and then posts pictures of everyone’s completed work on her Facebook page. In May we made a reversible wrap skirt with a Velcro closure. Another sewalonger used a button in place of the Velcro, a great option for people who don’t keep Velcro on hand. It was so quick and easy to make, I have no idea why I put it off until the end of the month. I threw together this bonus tank top at the last minute as well. It’s made with a free Liberty Jane pattern and a tank top that my girls had outgrown years ago. I cut out of a size 4/5 and had just enough fabric, so anything smaller probably wouldn't work. Doll clothes sewing is picking up in my house this summer. 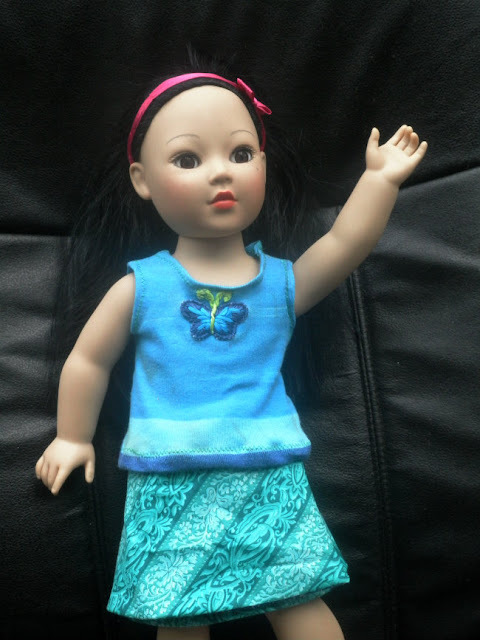 My youngest daughter just got a new doll for her 7th birthday, bringing our total up to 4 dolls; one American Girl Doll and 3 Madame Alexander Dolls. Then in September my older daughter will be making a trip to the American Girl Store, so we may expand our collection again. I have two matching girl and doll projects coming up. 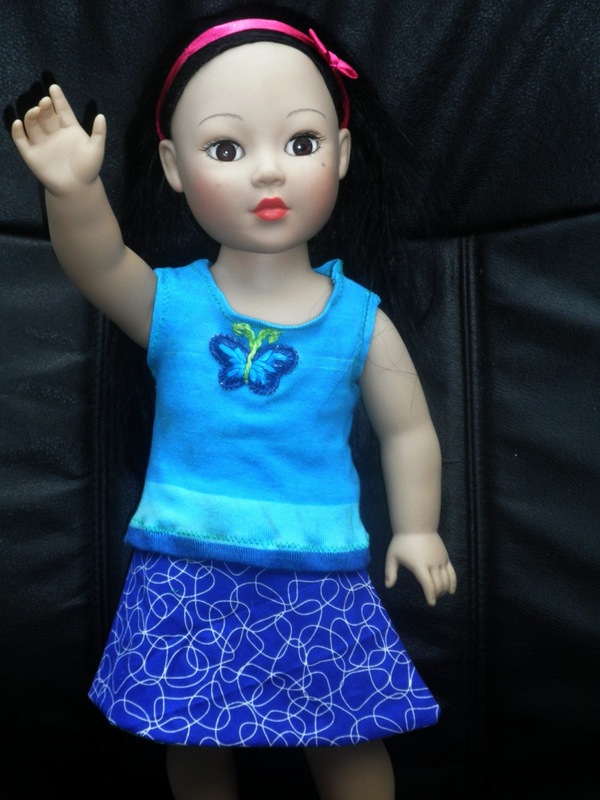 One of the projects will be skinny jeans using this matching girl and doll pattern. The second will be skirts. I’ll give you more details later in the month. In the meantime tell me about your favorite scrap busting project.